I picked up these studded earrings while shopping in Tokyo. I was drawn to them because there is a stud hanging from the butterfly-back (check out that earring anatomy! 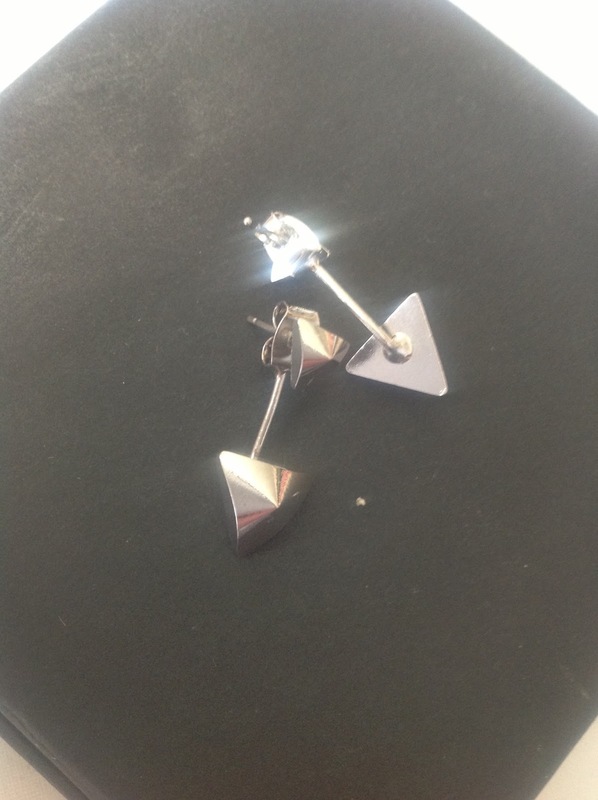 ), so there are two studs that are visible; one on your earlobe and one hanging underneath! Pretty and neat! P. S. is anyone else freaking out that it's already March?! Yikes! YES! I was telling my husband that February came and went and that it scares me how time flies! I love your blog - I'm following now. These are adorable! I love that the extra stud comes from the back rather than the front as with most earrings.